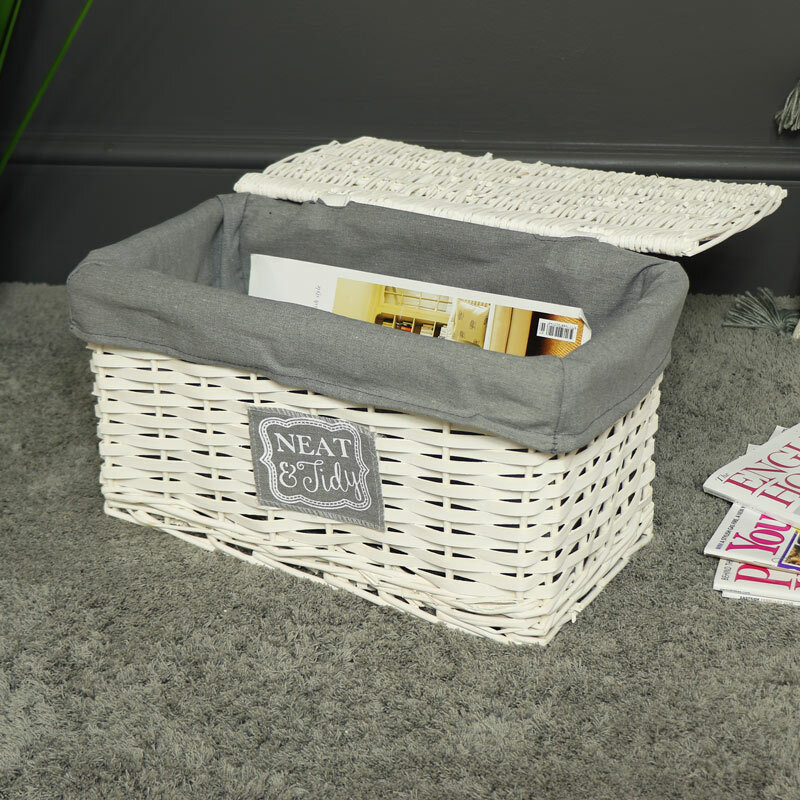 Rustic white willow wicker storage basket with grey linen fabric liner. Shabby chic style basket, ideal for blanket, clothing storage. More sizes available. A charming storage solution for the bedroom or bathroom. Great storage solution for clothing, blankets and towels with lidded top. A great place to keep toys and treasures safely stored away. 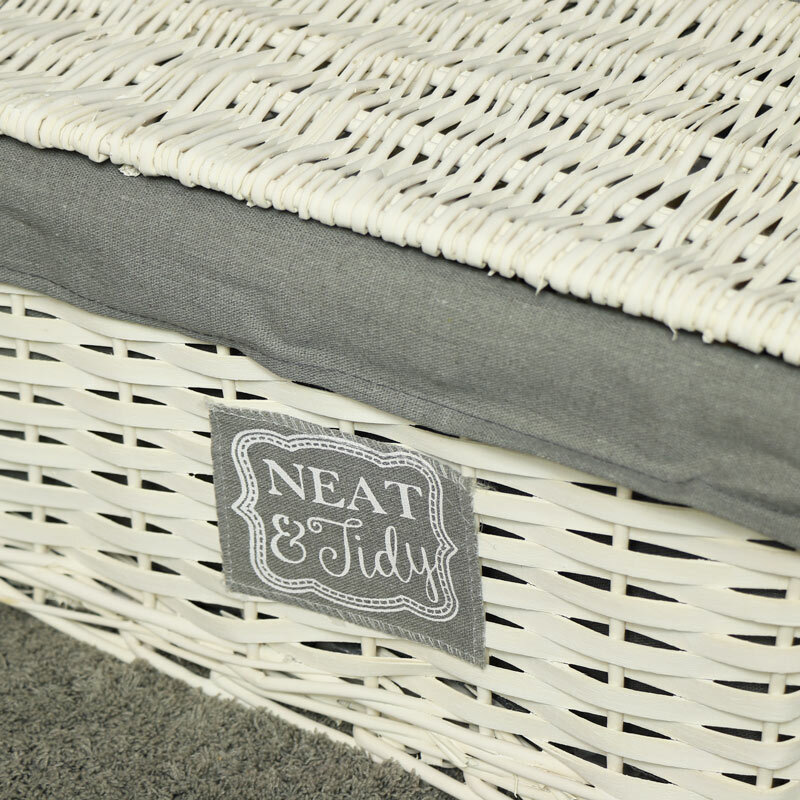 Rustic white willow wicker storage basket with grey linen fabric liner. Shabby chic style basket, ideal for blanket, clothing storage. More sizes available. A charming storage solution for the bedroom or bathroom. 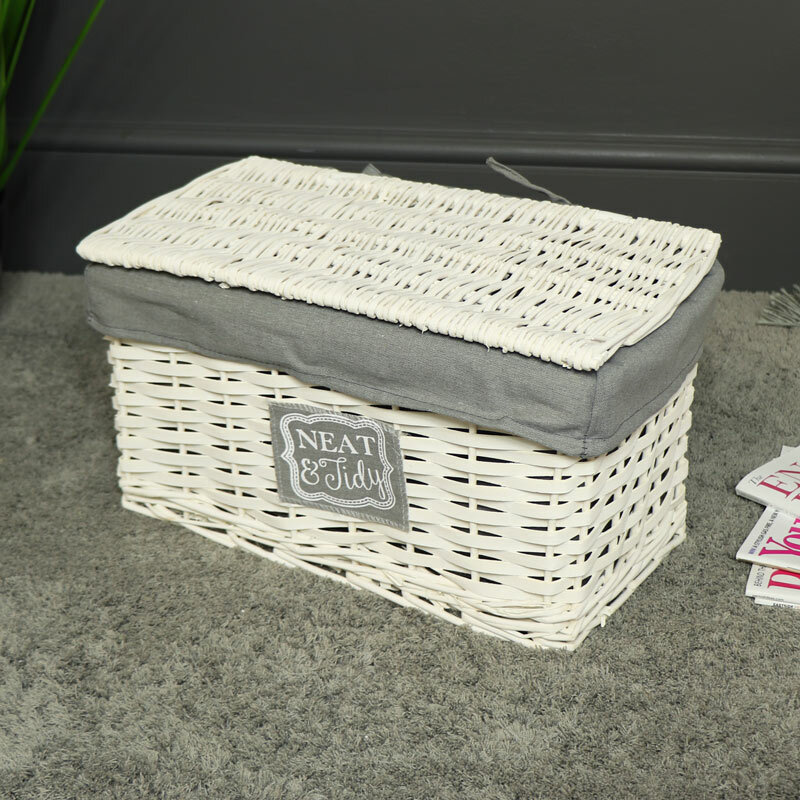 Great storage solution for clothing, blankets and towels with lidded top. A great place to keep toys and treasures safely stored away. We have a fantastic selection of storage solutions for the home. From baskets and hampers to chests of drawers and wardrobes.